Melbourne and Geelong, Victoria, Australia: The Tarella String Quartet, the Sonus Wind Quintet, Peter Hagen (harpsichord), and Johanna Selleck (conductor) now bring to the Port Phillip Bay area a concert that they first presented last year in Lismore, Victoria. The concert was commissioned by Mount Elephant Community Management as a contribution to the first edition of their Waking the Giants project – a creative exploration and interpretation of the Victorian volcanic plains. The program includes Stefan Hakenberg's dectet Magma Chambers . 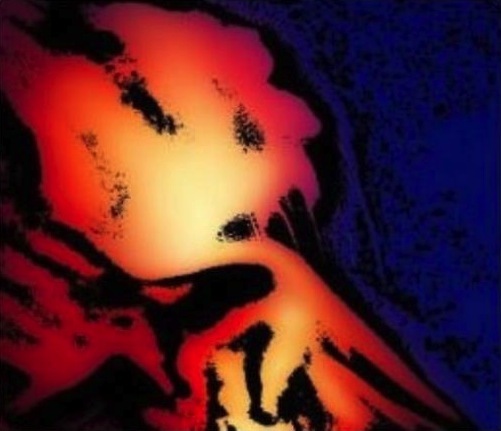 The composition expresses the unpredictable looming of eruptions from glowingly potent magma chambers under a dormant surface. Melbourne, Victoria, Australia: The Acacia Gold Wind Quintet presents a concert including Stefan Hakenberg's composition for flute, oboe, clarinet, horn, and bassoon Lake Winds . The piece was composed in support of the Lake Bolac Eel Festival and of composer Dindy Vaughan's community building activism. The Acacia Gold Wind Quintet has premiered Lake Winds at the festival last year. Rabat, Morocco: Elizabeth Reian Bennett, shakuhachi, presents a concert of shakuhachi and piano music as well as a concerto for ney, shakuhachi and orchestra combining music from Africa, Asia, and Europe. The program includes the world premiere of Stefan Hakenberg’s composition Song of a Japanese White-Eye for shakuhachi solo as well as the African premieres of Song of a Giant Tortoise - also for shakuhachi solo - and Sustainable Harmonies from Two Piano Pieces . The pianist is Sanae Zanane. Song of a Giant Tortoise was premiered in 2012 by Elizabeth Brown at an Afternoon of Shakuhachi and Koto Music concert at Northeastern University in Boston, Massachusetts, Two Piano Pieces 2006 in Auke Bay, Alaska by Alexander Tutunov. The piano piece was commissioned by the Pacific Rim Forum for a conference on Energy and Environment. Camino al Tagliamento, Italy: Festival Camino Contro Corrente 2018 presents a concert with pianist Paolo Notargiacomo. The program includes Stefan Hakenberg's Schafe Waschen , composed in 2001 for a concert dedicated to Hans Werner Henze on the occasion of his 75th birthday. Graz, Austria: Tara Venditti (mezzo-soprano) and Dan Lippel (guitar) present a concert to mark the beginning of Tara Venditti's voice professorship at the Kunstuni Graz. The program includes Stefan Hakenberg's version of the Greek traditional song Δεν ειν αυγη . Lismore, Victoria, Australia: As a part of its Waking the Giants project – a creative exploration and interpretation of the Victorian volcanic plains and its giant scoria cones – Mount Elephant Community Management presents a concert featuring the Tarella String Quartet, the Sonus Wind Quintet, Peter Hagen (harpsichord), and Johanna Selleck (conductor). The program includes the World premiere of Stefan Hakenberg's new dectet Magma Chambers . Melbourne, Victoria, Australia: The Melbourne Composers' League presents a concert featuring the Acacia Gold Wind Quintet conducted by Peter Neville. 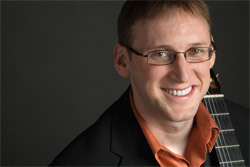 The program includes Stefan Hakenberg's composition for flute, oboe, clarinet, horn, and bassoon Lake Winds . The piece was composed in support of the Lake Bolac Eel Festival and of composer Dindy Vaughan's deeply rooted community building activism. The Acacia Gold Wind Quintet has premiered Lake Winds at the Lake Bolac Eel Festival last March. Aveiro, Portugal: As part of their meeting Flute: Hands On Research 2018, IMPAR (Initiatives Meetings and Publications on Artistic Research) presents Camilla Hoitenga in a lecture recital Contemporary Performance Practice – An Introduction. Her program will include the Portuguese premiere of Stefan Hakenberg's In a Heartbeat . In a Heartbeat was premiered just a couple of months ago by David Gruber at Alte Schmiede in Hallein, Austria. Berlin, Germany: Marienkirche presents a charity concert featuring the Bundespolizeiorchester Berlin with its music director Gerd Herklotz. The program includes Stefan Hakenberg's composition for symphonic wind ensemble A Gentle Giant . 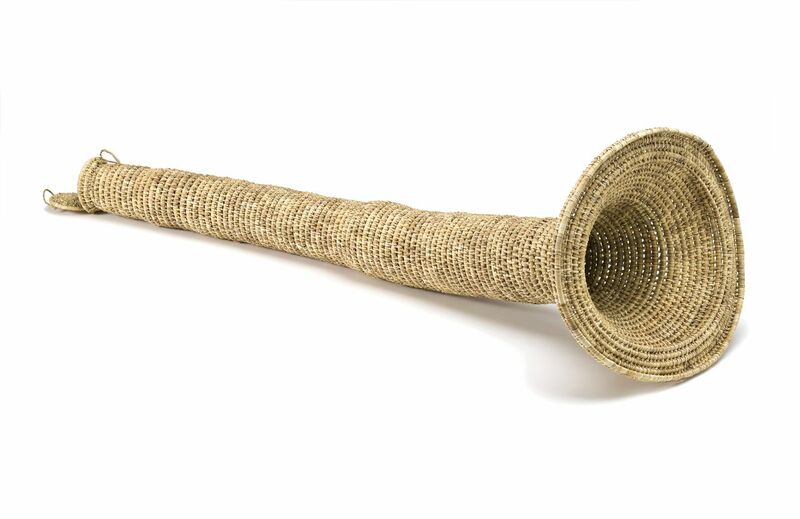 Schwerte, Germany: Katholische Akademie Schwerte presents an exhibition of works by Yala Juchmann. The opening of the exhibition features flutist Camilla Hoitenga playing the German premieres of Stefan Hakenberg's Song of a Giant Tortoise and In a Heartbeat . Song of a Giant Tortoise was originally written for daegum as part of the score for Theo Lipfert's documentary short film Invasion of the Giant Tortoises and premiered independently of the movie, in a version for shakuhachi, by Elizabeth Brown at Northeastern University in Boston in 2012. 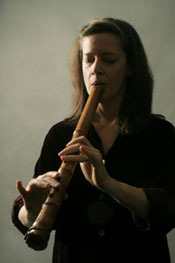 Camilla Hoitenga plays the composition on a traditional Western transverse flute. In a Heartbeat was premiered just a month ago by David Gruber at Alte Schmiede in Hallein, Austria. Rückersdorf, Germany: Musik in Scheune und Kapelle presents a concert with lagrimosa beltà (Frances Pappas, mezzo-soprano and Laura Young, guitar) including Stefan Hakenberg's versions of the Greek traditional songs Μεσ Του Αιγαιου and Δεν ειν αυγη . These songs are also available on CD through lagrimosa beltà, amazon, iTunes, or at the Salzburg Festival Shop. Hallein, Austria: The Halleiner Kulturverein Sudhaus presents Stefan Hakenberg's chamber opera The Egg Musher (libretto by Michael Kerstan) with the El Cimarron Ensemble and bass baritone Nicholas Isherwood conducted by Stefan Hakenberg and stage directed by Michael Kerstan. For previous media coverage of The Egg Musher , which the press labeled "first climate opera," you can go to the Reviews Page. The evening will also include an introductory conversation between the composer and the librettist, as well as El Cimarron Ensemble's David Gruber playing the World premiere of Stefan Hakenberg's In a Heartbeat for flute solo. Berlin, Germany: The protestant congregation Ev. Kirchengemeinde Heilig Kreuz-Passion presents a charity concert featuring the Bundespolizeiorchester Berlin with its music director Gerd Herklotz. The program includes the World premiere of Stefan Hakenberg's composition for symphonic wind ensemble A Gentle Giant . The proceeds of this concert will go to support the Projekt Gitschiner Str. 15, a unique education center for homeless or poor adults with courses in a variety of visual arts and music, including for instance the gospel choir Different Voices of Berlin who compose some of their songs themselves. 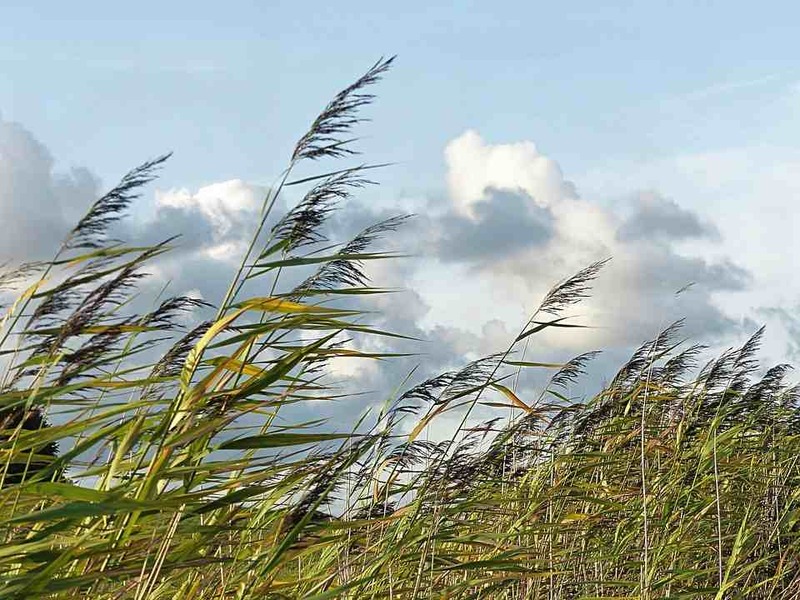 Lake Bolac, Victoria, Australia: The grass roots Lake Bolac Eel Festival presents a concert featuring the Acacia Gold Wind Quintet from Melbourne. The program includes the World premiere of Stefan Hakenberg's new composition for flute, oboe, clarinet, horn, and bassoon Lake Winds . The piece was composed in support of the Lake Bolac Eel Festival and of composer Dindy Vaughan's deeply rooted community building activism. It was conceived acknowledging the Djabwurrung as the traditional custodians of the land where the Festival is held as an offer of sincere respect for elders past, present, and emerging. Darmstadt, Germany: The opening concert of the festival Zeitströme at the Darmstadt Academy for Musical Arts features the AsianArt Ensemble presenting a program including Stefan Hakenberg's Zerrende Geister . This composition was originally written for clarinet, cello, and piano and premiered in 1994 in Cambridge, Massachusetts by the New Millennium Ensemble. The version presented in this concert was set for violin, viola, cello, double bass, daegum, kayagum, and koto in 2015. 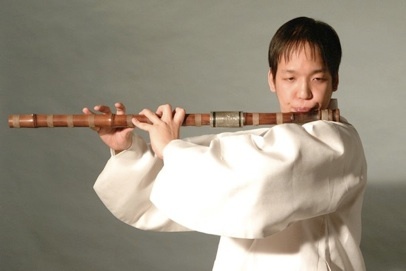 The performance will be conducted by Il‑Ryun Chung. Rüsselsheim, Germany: Visual artist Inge Besgen presents the 11th edition of her community based concert series Lebenslinien. The jazz quartet Common Ground with Matthias Akeo Nowak (bass), Sebastian Gille (tenor saxophone), Achim Kaufmann (piano), and Bill Elgart (drums) will premiere Rüsselsheimer Portraits by Stefan Hakenberg. The compositions are based on character essays on four citizens of Rüsselsheim by psychoanalyst Brigitte Pahlke. More about the event in this article by Stephan Dudek from the newspaper Main-Spitze. Recklinghausen, Germany: During his concert Zum ersten Mal, pianist Rainer Maria Klaas presents the World premiere of Stefan Hakenberg's 60 cm , a piano sonata in four movements. Albuquerque, New Mexico: Mezzo-soprano Tara Venditti, the Viola Miller Endowed Quartet of the University of New Mexico, and their music director and pianist Kristin Ditlow present – as a World premiere – a combination of Stefan Hakenberg's Vier Arien des Orfeo , the Gesänge für Orfeo , and a new piano solo piece Versuch und Scheitern . These compositions are versions of music from the opera with dance Schau nicht zurück, Orfeo! with an original score by Stefan Hakenberg incorporating music by Christoph Willibald Gluck and high school students from Nuremberg, Germany, set for mezzo-soprano, chorus and piano by Christian Reuter and Stefan Hakenberg. Berlin, Germany: The AsianArt Ensemble presents focused XVI - Deutsche Komponisten, a concert including the European premiere of Stefan Hakenberg's Sir Donald for kayagum, changgu, and baroque cello. Houston, Texas: The Asia Society Texas presents Performing Asia: IIIZ+ in Concert , a concert including the Texan premiere of Stefan Hakenberg's five musical montages of traditional East Asian zither and changgu compositions Three Zithers and a Pair of Scissors for Japanese koto, Korean kayagum and changgu, and for Chinese guzheng. Nuremberg, Germany: The Internationales Kammermusikfestival Nürnberg presents Penelope – Musik und Lesung, a concert with lagrimosa beltà (Frances Pappas, mezzo-soprano and Laura Young, guitar) including Stefan Hakenberg's versions of the Greek traditional songs Μεσ Του Αιγαιου and Δεν ειν αυγη . New York, New York: Spectrum presents Vocal Acrobatics, a concert with Frauke Aulbert (voice) and Brian DuFord (guitar) including Stefan Hakenberg's versions of the Greek traditional songs Μεσ Του Αιγαιου and Δεν ειν αυγη . This is the first performance of the songs in the US. Deerfield, New Hampshire: As part of its 3rd Annual Haiku Gathering, the Studio Garden Gallery Wild Graces presents a concert featuring Elizabeth Reian Bennett, shakuhachi, including Stefan Hakenberg’s composition Song of a Giant Tortoise . Song of a Giant Tortoise was premiered in Boston in 2012 by Elizabeth Brown at Northeastern University. Darmstadt, Germany: The Evangelische Südostgemeinde Darmstadt presents a recital with mezzo-soprano Tara Venditti and pianist Kristin Ditlow including Stefan Hakenberg's solo piano piece Schafe Waschen and the World premiere of the complete set of Vier Arien des Orfeo . The arias stem from the opera with dance Schau nicht zurück, Orfeo! with an original score by Stefan Hakenberg incorporating music by Christoph Willibald Gluck and are set for mezzo-soprano and piano by Christian Reuter and Stefan Hakenberg. Schafe Waschen was composed in 2001 for a concert dedicated to Hans Werner Henze on the occasion of his 75th birthday. 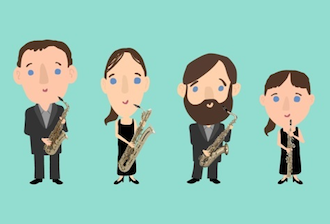 Melbourne, Australia: The Sonic.Art Saxophone Quartet present a concert at Monash University including the World premiere of Stefan Hakenberg's brief greeting card to the composers at the Sir Zelman Cowan School of Music Gale Force Group Portrait . Hamburg, Germany: altonale18 presents a concert with Frauke Aulbert (voice) and Gisbert Watty (guitar) including Stefan Hakenberg's versions of the Greek traditional songs Μεσ Του Αιγαιου and Δεν ειν αυγη . In July and August 2015 Frauke Aulbert and Gisbert Watty presented these two Greek songs for the first time in Sydney and Melbourne. Berlin, Germany: The Ensemble UnitedBerlin presents a concert commemorating Hans Werner Henze on his 90th birthday including the World premiere of Stefan Hakenberg's To Sovereign Thames Allied for voice and sinfonietta – settings of two poems from The River Duddon by William Wordsworth. The soloist will be Matthias Bauer, who will also play the double bass part, and the performance will be conducted by Vladimir Jurowski. Hallein, Austria: The Internationales Halleiner Gitarrenfestival presents a concert with lagrimosa beltà (Frances Pappas, mezzo-soprano and Laura Young, guitar) including Stefan Hakenberg's versions of the Greek traditional songs Μεσ Του Αιγαιου and Δεν ειν αυγη . These songs are also available on CD through lagrimosa beltà, amazon, or iTunes. Mönchengladbach, Germany: Hermann Große-Schware celebrates his 85th birthday with a concert including Stefan Hakenberg's Pink Slush for string quartet and drum set played by teachers of the Musikschule der Stadt Mönchengladbach, Harald Stöpfgeshoff and Kerstin Weuthen violins, Rüdiger Blömer viola, Susanne Ostermann cello, and Robert Hurasky drums. 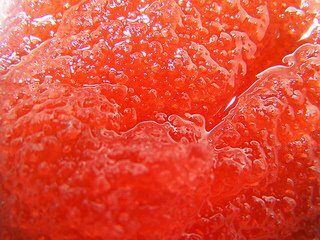 Pink Slush was premiered in 2009 in Mönchengladbach by the Vitus Quartet and Ralf Baumann on drums during a concert dedicated to the 30th anniversary of the Ensemblia new music festival. Florence, Italy: GAMO (Gruppo Aperto Musica Oggi) International Festival presents a concert with Frauke Aulbert (voice) and Gisbert Watty (guitar) including Stefan Hakenberg's versions of the Greek traditional songs Μεσ Του Αιγαιου and Δεν ειν αυγη as well as the European premiere of the original song on the poem Ιθάκη by Constantine P. Cavafy. In July and August 2015 Frauke Aulbert and Gisbert Watty presented these three Greek songs in Sydney and Melbourne. lagrimosa beltà (Frances Pappas, mezzo-soprano and Laura Young, guitar) present concerts including Stefan Hakenberg's versions of the Greek traditional songs Μεσ Του Αιγαιου and Δεν ειν αυγη at 24. Internationales Gitarren Symposion in Iserlohn, Germany, at “Yiannis A. Papaioannou” International Music Festival in Kavala, Greece, at XVIII Wrocławski Festiwal Gitarowy GITARA+ in Wrocław, Poland, and at 20. Nürnberger Gitarrennacht in Nürnberg, Germany. Australia: Frauke Aulbert (voice) and Gisbert Watty (guitar) present concerts including Australian premieres of Stefan Hakenberg's versions of the Greek traditional songs Μεσ Του Αιγαιου and Δεν ειν αυγη as well as the World premiere of a new original song on the poem Ιθάκη by Constantine P. Cavafy. In August Stefan Hakenberg will be in residence at Melbourne's Monash University and also give a lecture at Melbourne University. Seoul, South Korea: IIIZ+ present concerts at the National Gugak Center and The House Concert. The concert programs includes the Korean premiere of Stefan Hakenberg's five musical montages of traditional East Asian zither compositions Three Zithers and a Pair of Scissors for Japanese koto, Korean kayagum and changgu, and for Chinese guzheng. 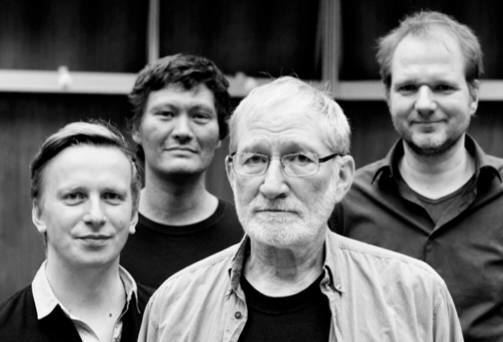 Berlin, Germany: The AsianArt Ensemble presents a concert including the World premiere of a new original version of Stefan Hakenberg's Zerrende Geister . This composition was originally written for clarinet, cello, and piano and premiered in 1994 in Cambridge, Massachusetts by the New Millennium Ensemble from New York. The new version presented in this concert is set for violin, viola, cello, double bass, daegum, kayagum, and koto. The performance will be conducted by Il‑Ryun Chung. Klosterneuburg bei Wien, Austria: Soprano Julia Mihály presents her solo recital entitled [trigger me] 2.0 at the Essl Museum. The program includes the Austrian premiere of her concert version of Stefan Hakenberg's dance piece for soprano and electronics Searching and Knowing on a libretto by the Rev. Joyce Parry Moore, reflecting the Rev. Mrs. Parry Moore's personal experience as a breast cancer survivor. The electronic track uses snippets of recordings of an MRI sequence and Rev. Parry Moore's voice. Stefan Hakenberg has written a detailed description of his compositional process composing Searching and Knowing under the title Ways to a New Identity. 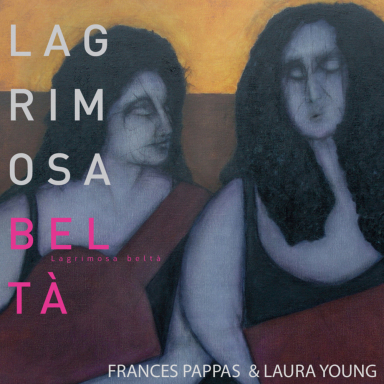 lagrimosa beltà (Frances Pappas, mezzo-soprano and Laura Young, guitar) release their new CD including Stefan Hakenberg's versions of the Greek traditional songs Μεσ Του Αιγαιου and Δεν ειν αυγη . Darmstadt, Germany: The Darmstadt Academy for Musical Arts Tage für Neue Musik presents a concert with recorder player Johannes Fischer and koto player Naoko Kikuchi including Stefan Hakenberg's Antares . A life recording of the European premiere of Antares with Johannes Fischer and Naoko Kikuchi in Darmstadt in 2010 is available on this Web site, here. 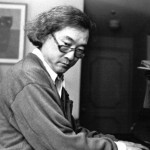 Antares was originally composed for Marco Lienhard (shakuhachi) and Ryuko Mizutani (koto), who premiered the composition in 2008 in Brookline, Massachusetts. Scuola di Musica "G. Verdi"
Prato, Italy: Frauke Aulbert (voice) and Gisbert Watty (guitar) present a concert including Stefan Hakenberg's versions of the Greek traditional songs Μεσ Του Αιγαιου and Δεν ειν αυγη . Essen, Germany: As a world premiere, the festival NOW! together with Landesmusikrat NRW, Stiftung Zollverein, and Jugendzupforchester NRW present a concert performance of The Amputation of Charlie Sharp , an opera with music by Stefan Hakenberg and a libretto by Philip Gourevitch. The opera will be sung in Olaf Matthias Roth's German version. Christian de Witt conducts an ensemble of soloists, actors, and an extended mandolin orchestra. - Preview in the Darmstädter Echo newspaper. 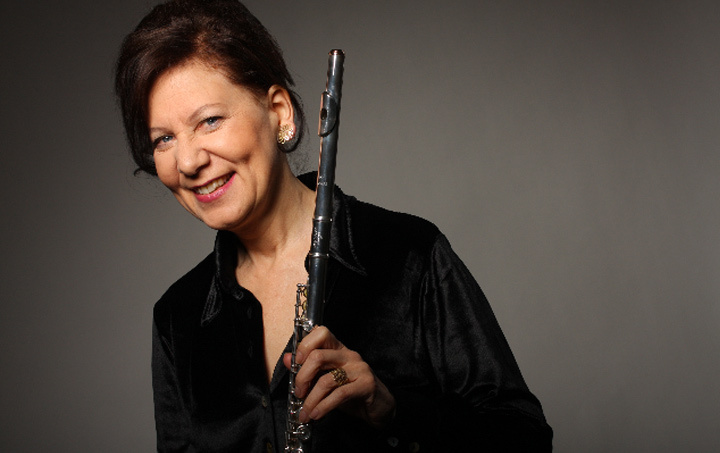 Boston, Massachusetts: Alea III presents Days by Stefan Hakenberg with Diane Heffner (bass clarinet) and Janet Underhill (bassoon). Berlin, Germany: Soprano Julia Mihály presents her solo recital entitled [trigger me] 2.0. The program includes her concert version of Stefan Hakenberg's dance piece for soprano and electronics Searching and Knowing on a libretto by the Rev. Joyce Parry Moore, reflecting the Rev. Mrs. Parry Moore's personal experience as a breast cancer survivor. The electronic track uses snippets of recordings of an MRI sequence and Rev. Parry Moore's voice. 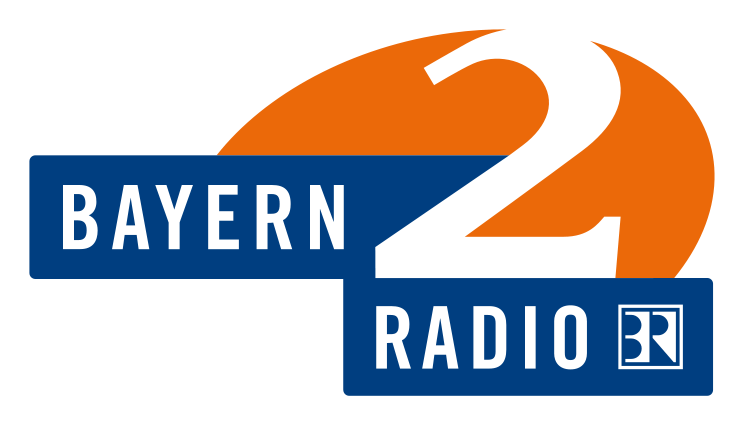 Bayern2 Radio, Germany: Bavarian Radio's channel 2 presents its show Concerto bavarese including its own recording of the World premiere performance of Stefan Hakenberg's Extensive Counterpoints and Loops with the Nürnberger Akkordeonorchester under its music director Stefan Hippe. Soprano Julia Mihály presents her solo recital entitled [trigger me] 2.0 in Darmstadt, Frankfurt, Hamburg (Program flyer), and Berlin. The program includes her concert version of Stefan Hakenberg's dance piece for soprano and electronics Searching and Knowing on a libretto by the Rev. Joyce Parry Moore, reflecting the Rev. Mrs. Parry Moore's personal experience as a breast cancer survivor. The electronic track uses snippets of recordings of an MRI sequence and Rev. Parry Moore's voice. Darmstadt, Germany: The Academy for Musical Arts presents Ensemble Phorminx in a concert including Stefan Hakenberg's composition Emergence played by Thomas Löffler on bass clarinet and Bernd Mallasch, percussion. The acclaimed Ensemble Phorminx presents the music of Stefan Hakenberg regularly. Ensemble Phorminx's interpretation of Cube for cello, bass clarinet, and percussion has been released on the CD Of Time and Place. Darmstadt, Germany: Tara Venditti (mezzo-soprano) and Dan Lippel (guitar) present a concert including Stefan Hakenberg's version of the Greek traditional song Δεν ειν αυγη . 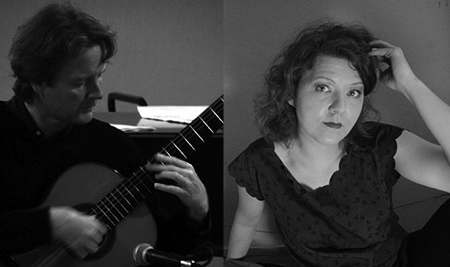 lagrimosa beltà (Frances Pappas, mezzo-soprano and Laura Young, guitar) present concerts including Stefan Hakenberg's versions of the Greek traditional songs Μεσ Του Αιγαιου and Δεν ειν αυγη in Salzburg, Ottawa, and at Zagreb's Guitarra Viva | Festival. Darmstadt, Germany: During a concert of the series Lehrerkonzerte at the Darmstadt Academy for Musical Arts pianist Sabine Simon presents Stefan Hakenberg's Schafe Waschen . Schafe Waschen was composed in 2001 for a concert dedicated to Hans Werner Henze on the occasion of his 75th birthday. Melbourne, Victoria (Australia): During two concerts mezzo-soprano Tara Venditti and pianist Siegmund Watty present the World premieres of the arias Arie im Elysium and Orfeos zweiter Schmerzensgesang from Stefan Hakenberg's Vier Arien des Orfeo . The Vier Arien des Orfeo are versions of arias from the opera with dance Schau nicht zurück, Orfeo! with an original score by Stefan Hakenberg incorporating music by Christoph Willibald Gluck set for piano and mezzo-soprano by Stefan Reuter and Stefan Hakenberg. 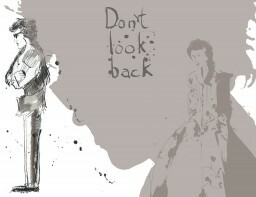 Stefan Hakenberg will also present this opera with dance in a lecture during his residency at Monash University. It was commissioned for and premiered during the International Gluck Opera Festival at Staatstheater Nuremberg (Germany) in 2010. Somerville, Massachusetts: The Tufts University Department of Music presents its Tufts Composers Spring Forum: The Newest of the New, a concert of assorted works by Tufts composers and guests, featuring Elizabeth Reian Bennett, shakuhachi, in Stefan Hakenberg’s composition Song of a Giant Tortoise . 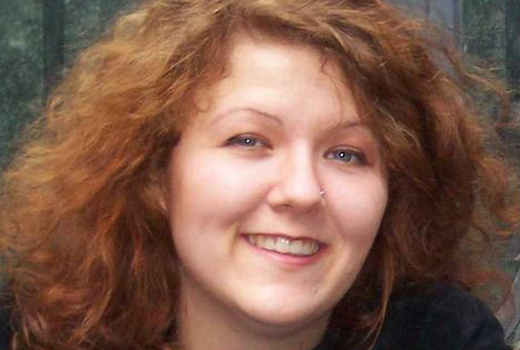 Song of a Giant Tortoise was premiered in Boston just a few months ago by Elizabeth Brown at Northeastern University. BR-Klassik Radio, Germany: The radio show Passagen presents its recording of a concert in Fürth, Germany on March 1, 2013, featuring lagrimosa beltà (Frances Pappas, mezzo-soprano and Laura Young, guitar). The concert includes Stefan Hakenberg's versions of the Greek traditional songs Μεσ Του Αιγαιου and Δεν ειν αυγη . Bonn, Germany: During the second, state wide round of the German music competition Jugend Musiziert a student quintet from the Folkwang Musikschule der Stadt Essen will present Stefan Hakenberg's composition Bezifferte Kreuze . The ensemble is coached by Theresia Norpoth-Weber. Bezifferte Kreuze is a slow and solemn composition based on Stefan Hakenberg's music for the award winning film Solving for X by Theo Lipfert. In this program Bezifferte Kreuze will be flanked by the first and third movements of the Piano Quintet in A major (D 667) by Franz Schubert also known as the Trout Quintet. Aachen, Germany: The Society for Contemporary Music presents Ensemble Phorminx in a concert entitled Give me Excess of it. The concert includes Stefan Hakenberg's composition Emergence played by Thomas Löffler on bass clarinet and Bernd Mallasch, percussion. The acclaimed Ensemble Phorminx presents the music of Stefan Hakenberg regularly. Last they played his composition Cube for cello, bass clarinet, and percussion in Darmstadt and Tübingen. Ensemble Phorminx's interpretation of Cube has been released on the CD Of Time and Place. Fürth, Germany: Bavarian Radio's show Passagen presents in concert lagrimosa beltà (Frances Pappas, mezzo-soprano and Laura Young, guitar). The program includes Stefan Hakenberg's versions of the Greek traditional songs Μεσ Του Αιγαιου (European premiere) and Δεν ειν αυγη (German premiere). The concert will be broadcast on March 14, 2013 at 7:05pm (Central European Time) on BR-Klassik Radio. Darmstadt, Germany: This evening of the Days of New Music at the Darmstadt Academy for Musical Arts features MENEM, the new music ensemble of the Public Music School in Darmstadt. As part of the concert Jadwiga Frej will present the World premiere of Stefan Hakenberg's composition Cathedral for electric violin alone. Hancock, New Hampshire: The Music on Norway Pond concert series presents the BeatCity Art Ensemble. The concert will include Stefan Hakenberg's composition Emergence performed by William Kirkley on bass clarinet and percussionist Robert Schulz. Emergence was premiered in 1994 in The Netherlands by Duo Contemporain. 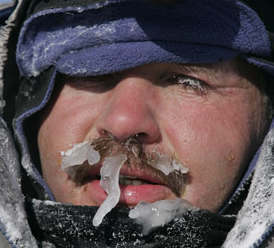 However, Robert Schulz has been the first to play Emergence in America presenting it on both coasts since 2005. 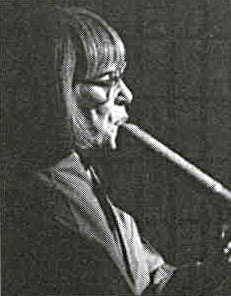 A recording of Robert Schulz playing Emergence together with bass clarinetist Diane Heffner can be found on the Audio page of this web site. Essen, Germany: During the first round of the German music competition Jugend Musiziert at the Folkwang Musikschule der Stadt Essen a student quintet will present the World premiere of Stefan Hakenberg's composition Bezifferte Kreuze . The ensemble is coached by Theresia Norpoth-Weber. Bezifferte Kreuze is a slow and solemn composition based on Stefan Hakenberg's music for the award winning film Solving for X by Theo Lipfert. In this program Bezifferte Kreuze will be flanked by the first and third movements of the Piano Quintet in A major (D 667) by Franz Schubert also known as the Trout Quintet. Izmir, Turkey: IIIZ+ presents a concert at the Ahmet Adnan Saygun Sanat Merkezi. The concert program includes the Turkish premiere of Stefan Hakenberg's five musical montages of traditional East Asian zither compositions Three Zithers and a Pair of Scissors for Japanese koto, Korean kayagum and changgu, and for Chinese guzheng. 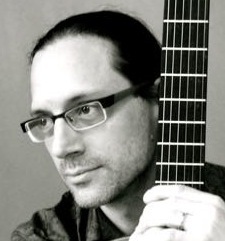 Somerville, Massachusetts: The Sunday at Tufts-Community Concert Series presents percussionist Robert Schulz with a recital program including Emergence by Stefan Hakenberg. 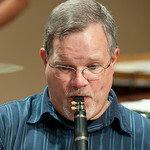 William Kirkley will play the bass clarinet part. Emergence was premiered in 1994 in The Netherlands by Duo Contemporain. However, Robert Schulz has been the first to play Emergence in America presenting it on both coasts since 2005. A recording of Robert Schulz playing Emergence together with bass clarinetist Diane Heffner can be found on the Audio page of this web site. Portland, Oregon: The Portland Humanist Film Festival presents the premiere screening in America of Solving for X , a film by Theo Lipfert with an original score composed for instruments and midi controlled samplers by Stefan Hakenberg and recorded in Darmstadt, Germany with Mareike Niemz (viola), Yen-Ting Liu (cello), Eran Borovich (contrabass), Marieke Franssen (flute), Agnieszka Koprowska-Born (percussion), Erika Leroux (piano), and Clemens Heil (cond.). Solving for X is a feature-length documentary about the quantitative approach to human rights data. The film documents the work of Dr. Patrick Ball, leader of the Benetech Human Rights Data Analysis Group. Based in Silicon Valley, Ball and his team travel the world helping human rights supporters apply sophisticated computer analysis to human rights events. Three examples of this quantitative approach are explored in the film: in Kosovo, Guatemala, and Liberia. In each case, Ball and his team use complex tools to answer a simple question: who did what to whom. Erlangen, Germany: The Akademie :der steg and Franconian International School present the dance theater show What Moves Me. The music to the event includes and is based on the theme song What Moves Me by Stefan Hakenberg. The text is by Frances Pappas who will also sing the song in the show together with the school's chorus and accompanied by pianist Zoran Imširović. Composer and music teacher Andrea La Rose and her music students at FIS sign for all arrangements and variations of the song during the show which is choreographed by Riikka Läser and Ivo Bärtsch. The performance is part of the International Chamber Music Festival Nuremberg and marks the opening of a new school building including a fully operational theater at FIS. Carola Beer has interviewed Stefan Hakenberg on the occasion of his participation in this year's festival for the festival newsletter. Essen, Germany: The JugendZupfOrchester NRW under its music director Christian de Witt presents a concert including a version arranged by Christian de Witt of Madame Ching , originally scored by Stefan Hakenberg for kayagum quartet. The concert is the opening of the 2012/13 edition of Haste Töne, the composition project with schools in North Rhine-Westphalia organized by the NRW Kultursekretariat Wuppertal. Nuremberg, Germany: The Internationales Kammermusikfestival Nürnberg presents a staged concert of vocal works Mal hier mal dort - zwischen Liebe und Hass including the World premiere of the bilingual song cycle Von Blättern und Blumen by Stefan Hakenberg on Romani poems by Nedjo Osman and the German translations by Mirjana and Klaus Wittmann. The songs will be performed by mezzo-soprano Frances Pappas, reciter Nedjo Osman, and violist Mareike Niemz. Nina Kühner will produce the show on a set by Hanna Zimmermann. Hamilton and Ottawa, Ontario: lagrimosa beltà (Frances Pappas, mezzo-soprano and Laura Young, guitar) presents a concert including Stefan Hakenberg's versions of the Greek traditional songs Μεσ Του Αιγαιου (World premiere) and Δεν ειν αυγη . Bayern2 Radio, Germany: Bavarian Radio's channel 2 presents its show Concerto bavarese including its own production of Stefan Hakenberg's Der Nachmittag eines Gärtners with Liu Jing (erhu), Volker Blumenthaler (cello), Jeremias Schwarzer (recorder), Claudia Buder (accordion), Jocelyn Clark (kayagum), and Slawomir Mscisz (marimba). 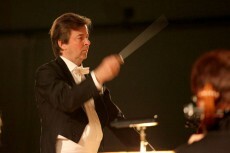 Conductor is Stefan Hakenberg. 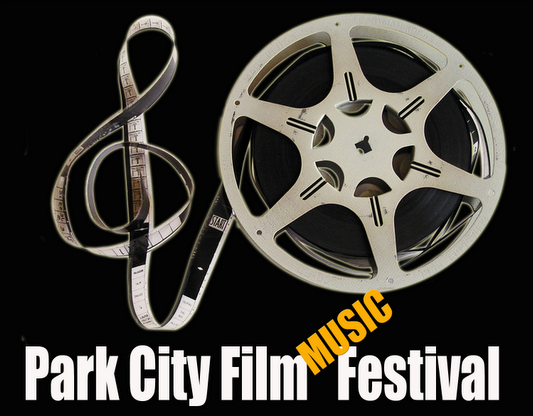 Park City, Utah: The Park City Film Music Festival presents the premiere screening of From The Mekong To Montana , a film by Theo Lipfert with an original score composed for acoustic and electric guitars by Stefan Hakenberg and recorded in Darmstadt, Germany by guitar player Jan Jansohn. From The Mekong to Montana traces one effect of the Vietnam War on an American woman. Diane Steffan married her college sweetheart in 1970. More than ten years later her husband suddenly developed Post Traumatic Stress Disorder from his service during the war. Their life together crashed into the chaos of violence and alcoholism, which eventually claimed his life. Fifteen years after her husband's death, Diane visits Vietnam to see for herself the country that changed her life (Facebook page). KUSM, MontanaPBS presents From The Mekong To Montana , a film by Theo Lipfert with an original score composed for acoustic and electric guitars by Stefan Hakenberg and recorded in Darmstadt, Germany by guitar player Jan Jansohn. Hannover, Germany: Soprano Julia Mihály presents a concert at Galeria Lunar to mark the finissage of the exhibition Funkausstellung by sound installation artist Pit Noack. The concert includes the World premiere of Stefan Hakenberg's dance piece for soprano and electronics Searching and Knowing on a libretto by the Rev. Joyce Parry Moore. Julia Mihály will present Searching and Knowing using the setup of Pit Noack's sound installation controlling it by means of a Max-patch that she has programmed herself for this show. Rev. Parry Moore's libretto is a reflection of her experience as a breast cancer survivor. The electronic track uses snippets of recordings of an MRI sequence and Rev. Parry Moore's voice. Berlin, Germany: In the 5th edition of its concert series "focused", AsianArt Ensemble presents an afternoon dedicated to Japan inspired music. The program features the European premiere of Stefan Hakenberg's Jet-Black and Silver . This composition was originally written for shakuhachi and koto but in this concert it will be interpreted on a daegum for the first time. The player is Hong Yoo who will be joined by koto player Naoko Kikuchi. Istanbul, Turkey: The Mimar Sinan Fine Arts University Conservatory as part of its Composer's Portrait lecture series presents Stefan Hakenberg. Darmstadt, Germany: The Darmstädter Musikgespräche present Stefan Hakenberg in a discussion with Wolfram Knauer, Cord Meijering, and Thomas Schäfer: "Darmstadt hat eine Musikschule wie andere Städte auch. Aber Darmstadts Musikschule ist anders. In dieser Stadt gibt es mit dem Internationale Musikinstitut, dem Jazzinstitut und der Akademie für Tonkunst Einrichtungen, die internationale Ausstrahlung besitzen, aber natürlich auch die Welt nach Darmstadt holen. Die Leiter dieser drei Einrichtungen werden sich im Gespräch mit Stefan Hakenberg, dem Leiter der Städtischen Musikschule, darüber unterhalten, welchen Einfluss das besondere Darmstädter Klima auf seine Arbeit hat, wie die Schülerinnen und Schüler von der einzigartigen musikalischen Situation dieser Stadt profitieren und was die Musikschule in die Stadtgesellschaft zurückgeben kann." Gugak FM, South Korea presents a show featuring kayagum player Jocelyn Clark. 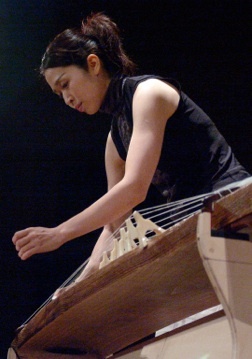 On the playlist of the broadcast: the East-Asian zither ensemble IIIZ+ with Ryuko Mizutani (koto), Jocelyn Clark (kayagum), Il‑Ryun Chung (changgu), and Yi-Chieh Lai (guzheng) playing Pep from Stefan Hakenberg's five musical montages Three Zithers and a Pair of Scissors . 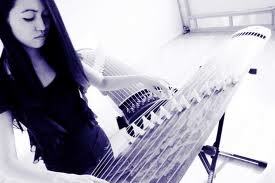 Both, Jocelyn Clark and Yi-Chieh Lai have also written about Three Zithers and a Pair of Scissors. You can find their writings at the Articles page on this Web site. Heidelberg, Germany: The Musik- und Singschule Heidelberg presents a concert including Folk Dance from Stefan Hakenberg's versions of three Thai folk songs for saxophone quintet and marimba Three Thai Tunes . Folk Dance will be performed by students coached by Willi Fischer. 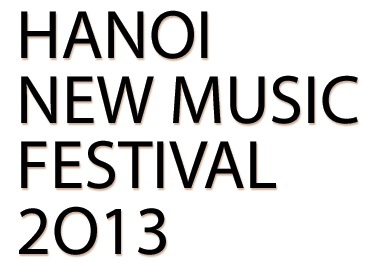 Mr. Fischer has participated in the September 2011 World premiere performance of Three Thai Tunes in Darmstadt. St. Gallen, Switzerland: Kult-Bau presents lagrimosa beltà (Frances Pappas, mezzo-soprano and Laura Young, guitar) in a concert including the Swiss premiere of Stefan Hakenberg's version of the Greek traditional song Δεν ειν αυγη . KUSM, MontanaPBS presents the premiere broadcasts of From The Mekong To Montana , a film by Theo Lipfert with an original score composed for acoustic and electric guitars by Stefan Hakenberg and recorded in Darmstadt, Germany by guitar player Jan Jansohn. Boston, Massachusetts: The Japan Society of Boston presents the Afternoon of Shakuhachi and Koto Music #13 including the World premiere of Dirge and Computation by Stefan Hakenberg for shakuhachi player Marco Lienhard and koto player Yuki Yasuda. This is Stefan Hakenberg's fourth composition for this classical Japanese combination of instruments. All these works, Orfeo on my Mind , Antares , and Jet-Black and Silver were written for Takashi Koto's annual concert series in Boston. BR-Klassik Radio, Germany presents mezzo-soprano Kammersängerin Frances Pappas in the show Meine Musik. Ms. Pappas has chosen an eclectic program including an interpretation of her own duo with guitarist Laura Young - lagrimosa beltà - of Stefan Hakenberg's version of the Greek traditional song Δεν ειν αυγη . Ensemble Phorminx presents a concert in celebration of Volker Blumenthaler's 60th birthday anniversary. It includes Stefan Hakenberg's Cube for cello, bass clarinet, and percussion. The ensemble played the European premiere of Cube in 2002 in Tübingen, Germany. Since then Phorminx has performed the piece repeatedly. 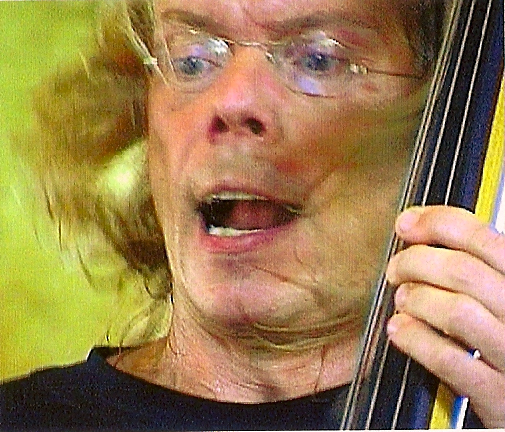 In 2003 it also recorded the work for release on the CD Of Time and Place which also includes Stefan Hakenberg's wind quintet Wild Landscape and Underbrush. 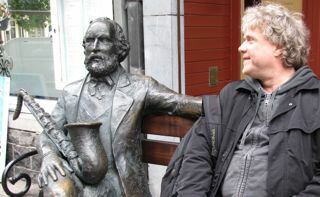 Volker Blumenthaler has been an early teacher of Stefan Hakenberg's and a mentor and supporter of his work ever since. As a cellist Volker Blumenthaler took part in the World premieres of Stefan Hakenberg's chamber works Der Nachmittag eines Gärtners (2002) - which is dedicated to him - and It Lightens, It Brightens ... in 2003. In 2000 Stefan Hakenberg had commissioned Volker Blumenthaler's concerto for erhu and chamber orchestra SPEC for CrossSound and conducted the World premiere in Juneau, Alaska. Darmstadt, Germany: The Darmstadt Academy for Musical Arts presents a concert featuring the saxophonist Saira Clegg. The program includes Stefan Hakenberg's versions of three Thai folk songs for saxophone quintet and marimba Three Thai Tunes . The piece was commissioned in 1996 by the Bangkok Saxophone Quartet for a joint CD-project with Duo Contemporain from Rotterdam. It was released only in Thailand in the same year on a CD entitled Pooyai Lee and performed in part on television in Bangkok. This performance in Darmstadt is the first concert performance of the Three Thai Tunes. Brüggen (Viersen), Germany: The JugendZupfOrchester NRW under its music director Christian de Witt presents a concert including a version arranged by Christian de Witt of Madame Ching , originally scored by Stefan Hakenberg for kayagum quartet. Bayreuth, Germany: The 24th festival Zeit für Neue Musik presents a concert with the Nürnberger Akkordeonorchester under its music director Stefan Hippe including Extensive Counterpoints and Loops by Stefan Hakenberg. The Nürnberger Akkordeonorchester premiered Extensive Counterpoints and Loops in 2010 in Nuremberg in a concert recorded by Bavarian Radio (BR). Hallein, Austria: Kulturforum Hallein presents it's annual Halleiner Festwoche including the Austrian premiere of Stefan Hakenberg's The Egg Musher (libretto by Michael Kerstan) with the El Cimarron Ensemble conducted by Peter Wesenauer. For previous media coverage of The Egg Musher , which the press labeled "first climate opera," go to the Reviews Page. The Hague, The Netherlands: Studio LOOS presents lagrimosa beltà (Frances Pappas, mezzo-soprano and Laura Young, guitar) in a concert including the European premiere of Stefan Hakenberg's version of the Greek traditional song Δεν ειν αυγη . Darmstadt, Germany: Days of New Music at the Darmstadt Academy for Musical Arts present a concert dedicated to composers from Darmstadt including Stefan Hakenberg's musical picture book Handwerk with illustrations by Harald Klemm played by Olaf Van Gonnissen (guitar) and Christiane Lüder (accordion). The piece was commissioned in 1997 by the German Accordion Teacher Association (Deutscher Akkordeonlehrer Verband). Aachen, Germany: The JugendZupfOrchester NRW under its music director Christian de Witt presents a concert including a version arranged by Christian de Witt of Madame Ching , originally scored by Stefan Hakenberg for kayagum quartet. Essen, Germany: The JugendZupfOrchester NRW under its music director Christian de Witt presents a concert including a version arranged by Christian de Witt of Madame Ching , originally scored by Stefan Hakenberg for kayagum quartet. WDR 3 Radio, Germany, channel 3 presents a program with the State Youth Orchestra of North Rhine-Westphalia under Thomas Wise including Stefan Hakenberg's Give and Take . The program is dedicated to music by composers from the United States. 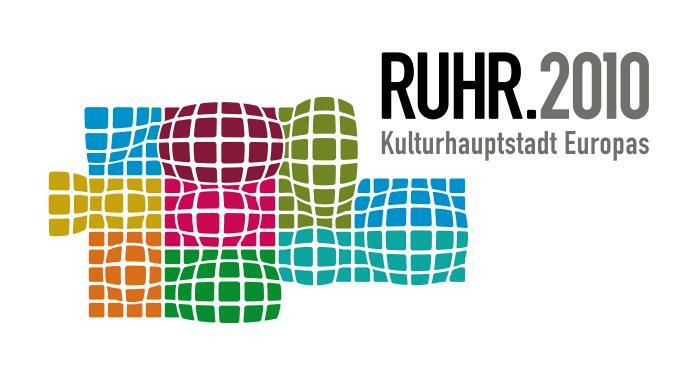 Recklinghausen, Germany: In co-production with the European Capital of Culture Ruhr.2010, integral::festival presents pianist Rainer Maria Klaas in a concert including Stefan Hakenberg's Schafe Waschen . The State Youth Orchestra of North Rhine-Westphalia under Thomas Wise presents Stefan Hakenberg's Give and Take on a tour of North Rhine-Westphalia. Essen, Germany: Studio musikFabrik | Jugendensemble des Landesmusikrats NRW presents a concert including Stefan Hakenberg's three songs on texts by Jürgen Becker, James Tate, and HyeShin Han for mezzo-soprano and seven players Oder River Image with mezzo-soprano Julia Mihály and conductor Carl Rosman. Witten, Germany: Marking Stefan Hakenberg's 50th Birthday Season and as part of the European Capital of Culture Ruhr.2010's Henze Project State Youth Ensembles of North Rhine-Westphalia as well as the BundesJazzorchester present within their concert weekend Europas Junger Klang a comprehensive portrait of Stefan Hakenberg's work including World premieres and first performances. 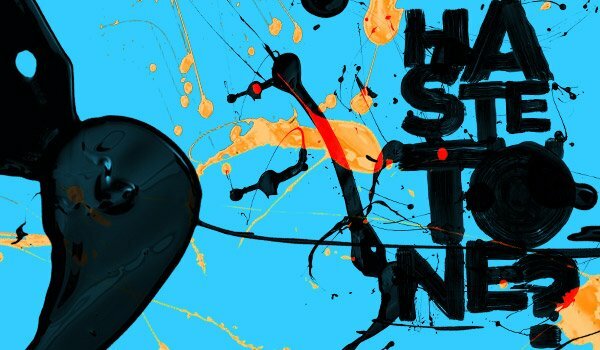 (-) The BundesJazzorchester and Splash join ranks for a concert including a new version of the second movement of Stefan Hakenberg's symphony for youth orchestra Give and Take , here entitled Mexican Polka . (-) The JugendZupfOrchester NRW under its music director, executive producer of Europas Junger Klang Dr. Christian de Witt, the percussion ensemble Splash, and Studio musikFabrik | Jugendensemble des Landesmusikrats NRW with mezzo-soprano Julia Mihály and conductor Carl Rosman present a concert including (1) a version arranged by Christian de Witt of Madame Ching , originally scored by Stefan Hakenberg for kayagum quartet, (2) Stefan Hakenberg's Konzertstück für Vibrafon und Schlagzeug , and (3) his three songs on texts by Jürgen Becker, James Tate, and HyeShin Han for mezzo-soprano and seven players Oder River Image . (-) The Landesjugendorchester NRW under Thomas Wise presents a concert including Give and Take . (-) The LandesJugendAkkordeonOrchester NRW under its music director Helmut Quakernack together with the LandesJugendChor Nordrhein-Westfalen present a concert including a version of Stefan Hakenberg's piece for string quartet Lost arranged for accordeon orchestra by Helmut Quakernack and the World premieres of 4 of Hakenberg's new Gesänge für Orfeo . Nürtingen, Germany: Ensemble Phorminx presents a concert including Stefan Hakenberg's clarinet duos Brücke mit Reiter . Nuremberg, Germany: The Nürnberger Akkordeonorchester under its music director Stefan Hippe presents the World premiere of Extensive Counterpoints and Loops by Stefan Hakenberg. Toronto, Canada: The Canadian Opera Company in their World Music Series present lagrimosa beltà (Frances Pappas, mezzo-soprano and Laura Young, guitar) in a concert including the World premiere of Stefan Hakenberg's version of the Greek traditional song Δεν ειν αυγη . Darmstadt, Germany: Ensemble Phorminx presents a concert including Cube by Stefan Hakenberg for cello, bass clarinet, and percussion. (-) and Springbrunnen for flute, cello, piano, and percussion. Cologne, Germany: As part of the MusikTriennale Köln's TripClubbing concert series Studio musikFabrik | Jugendensemble des Landesmusikrats NRW presents a concert including the World premiere of Stefan Hakenberg's three songs on texts by Jürgen Becker, James Tate, and HyeShin Han for mezzo-soprano and seven players Oder River Image with mezzo-soprano Julia Mihály and conductor Carl Rosman. Darmstadt, Germany: As part of a Youth Concert at the Darmstadt Academy for Musical Arts entitled Krach - Bumm - Päng, the Percussion Ensemble of the percussion program of Thomas Weiler together with a student of Christiane Lüder, present Ein Dampfer landet an , a musical picture book by Stefan Hakenberg for four percussionists and accordion. Darmstadt, Germany: As part of the Days of New Music at the Darmstadt Academy for Musical Arts Björn Lehmann plays Stefan Hakenberg's Two Piano Pieces .